The Dose Safety project began when Don Matheson, father of a 4-year-old girl with Type 1 diabetes attended a February 2002 Boeing Technical Excellence Conference in Seattle where he heard a presentation on fuzzy logic given by Suray Bhatia and Bob Kircher. Over the following months a team of engineers joined with a prominent Seattle area pediatric endocrinologist , Dr. Richard Mauseth, to begin the development of the fuzzy logic closed-loop insulin pump dosing algorithm. In September 2003 Dose Safety commenced a preliminary clinical trial. Thirty tests were conducted and the results were favorable and lead to the dosing design that has been continually refined to today. Three provisional US Patents for this novel technology were filed in 2006. In 2008, Dose Safety, in collaboration with the University of California Santa Barbara and Sansum Diabetes Research Institute further refined the dosing algorithm with adult, adolescent and child subjects using a FDA-approved computer simulator. Those findings helped define the safe and effective tuning parameters of Dose Safety’s dosing controller for future human clinical trials. In May of 2010 Benaroya Research Institute (BRI) of Seattle in collaboration with Dose Safety received a Juvenile Diabetes Research Foundation (JDRF) Innovative Grant (5-2010-440) to clinically test the controller. Studies were completed in December 2011 and further validated the dosing controllers design and pointed to ways performance could be enhanced. In September 2011 Dose Safety was awarded a National Institutes of Health (NIH) grant (RFA-DK-11-018). Funds were used to develop and clinically test improvements to the existing dosing algorithm and add new software capabilities such as predictive low glucose suspend. In July 2012 the JDRF awarded Dose Safety grant (15-2012-737) to study the effect of varying the Personalization Factor (PF) on blood glucose control during the challenges of exercise and a high-fat, high carbohydrate meals. In September 2014 Dose Safety was awarded a 2-year NIH grant (2R44DK104317-03). Clinical studies include a 3 month outpatient phase in the participant's home and workplace to evaluate the ability of the Dose Safety Controller (DSC) to reverse hypoglycemic unawareness. Twenty to thirty participants are planned, and the ability of the DSC to provide effective treatment of T1D in real-life environments will be evaluated. 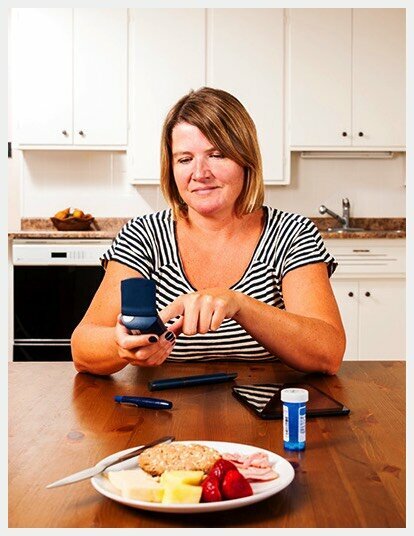 During 2015 the following capabilities were added to the DCS: 1) reduced post meal peak glucose in fully automated closed loop mode, 2) automated transitions between open loop, hybrid closed loop and fully automated closed loop modes, 3) basal insulin safety monitoring when in open loop mode and 4) device fault tolerance safety features. In late 2015 we started developing an iPhone/CGM/pump investigational device in coordination with an insulin pump company and a CGM manufacturer. That device will be first used in our 2016 NIH-funded outpatient studies at a hotel.